eBiz Guides is a whole new concept integrated within the globalization era. We believe that you can only make long-term beneficial investments if you fall in love with the country you target. The concept of eBiz Guides is quite simple. On one hand we want to present the country we cover in all its economic diversity, portraying all the different sectors and giving basic facts and information about the TOP companies. And on the other hand, we want to give an overview of the leisure and tourism activities to be enjoyed in the country. This is why we created our slogan 'All you need to know to do business and have fun'. We are proud to say that we created and developed the concept of the business globetrotter - a person interested in the non-traditional investment markets, who travels for business purposes and who also wants to enjoy the country visited. This is the only English-language guidebook to focus solely on Ivory Coast, a country of crimson savannas, sublime mountains and cream-hued beaches that is becoming popular for ecotourism and wildlife, surfing and off-the-beaten track travel. 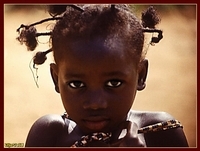 Having only recently re-opened for tourism, Ivory Coast is West Africa's hidden treasure. In-depth and comprehensive coverage of everything from chimp-watching and hiking to food and the Ivorian music and dance scene is featured. Packed with vivid descriptions, detailed maps and essential practical advice, this book is invaluable to any visitor, whatever your purpose. Wide-ranging information on food and accommodation is given for each region. Ivory Coast's nature is as alluring as its culture, whether you want to surf off beaches of Assinie, trek through the savannas of the north or scale Mount Tonkoui for panoramic views of Liberia and Guinea. In the Comoé, Taï and Marahoué national parks, it's possible to glimpse leopards, lions, chimpanzees, aardvarks, antelopes and 500 bird species. The guide includes sections offering advice on hiking and trekking the northern alpine regions and on birdwatching and wildlife-spotting in the various national parks. La Côte d'Ivoire n'est pas une destination ordinaire pour le tourisme malgrès ses nombreux atouts. Des lagunes aux denses forêts primaires, de la savane en passant par les montagnes embrumées à l'ouest du pays, elle tient entre ses mains une richesse inestimable. Le Parc national de Camoë, où l'on peut apercevoir les éléphants, emblème national d'un pays en devenir, en est le symbole. 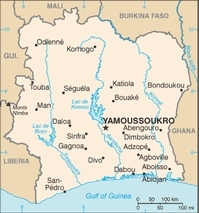 La Côte d'Ivoire, ce sont aussi des villes bouillonnantes et tumultueuses telles Abidjan, ancienne ville coloniale et capitale culturelle ou Ymoussoukro plus discrète. Une page se tourne en Côte d'Ivoire. L'incertitude laisse place à l'espérance. A travers les pages de ce guide, Petit Futé entend ouvrir la voie et dévoiler au lecteur les secrets pour ne pas passer à côté de ses trésors. Fileuses de coton, entrepreneurs, maraîchères, commerçantes, institutrices, préfets, tradipraticiennes, fondatrices d'ONG, teinturières, juristes. Mères, filles, sœurs et épouses de Côte d'Ivoire font preuve au quotidien d'un dynamisme, d'un courage et d'une générosité sans bornes. Quel rôle jouent-elles dans la société et quelle chance représentent-elles pour le pays ? Ce livre leur rend un hommage vibrant d'espoir. At one time one of the most stable of West African nations, Ivory Coast-nicknamed the Elephant of Africa for its size and stability-is a rapidly growing country with an extremely diverse population. It wasn't until the 1990s that political instability led to rebellion and violent conflicts. Although these have ended, widespread poverty, limited education and health care, and ethnic-based political divisions continue to threaten national unity.